In India’s Anantapur district, many villages have too much fluoride in their water supply, causing weakened bones and health problems such as difficulty walking. 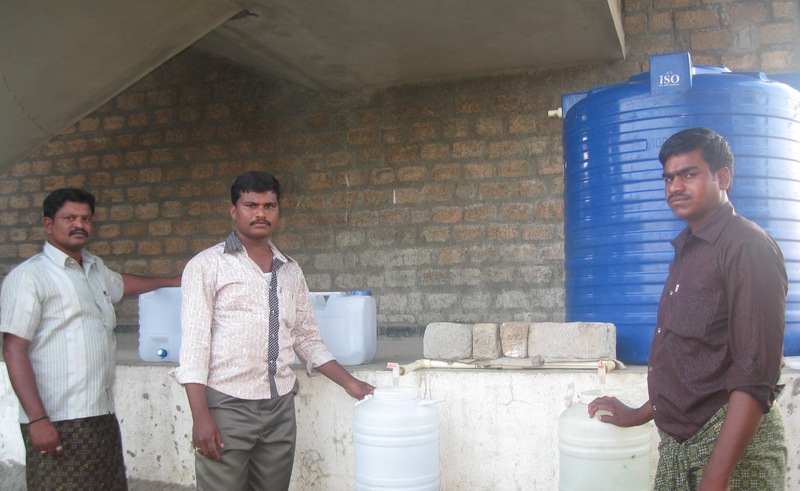 A local philanthropist, Mr. Sreenivas, recently donated Rs 85,000 worth of of water plant material to Narsimpalli school. Narsimpalli is now providing pure mineral water — which is much healthier — to students and teachers at school. But the school is also selling the mineral water to three villages for a nominal Rs 2 a liter to help improve the health of the surrounding community. In just four months, Wadlakonda student K. Pravalika has shown an astounding ability in yoga. The 5th class student learned yoga from Prabhakar, her physical education teacher. The photos well demonstrate the 10-year-old’s strength and agility. She is doing so well that she participated in the district’s yogasan championship and won 4th place. 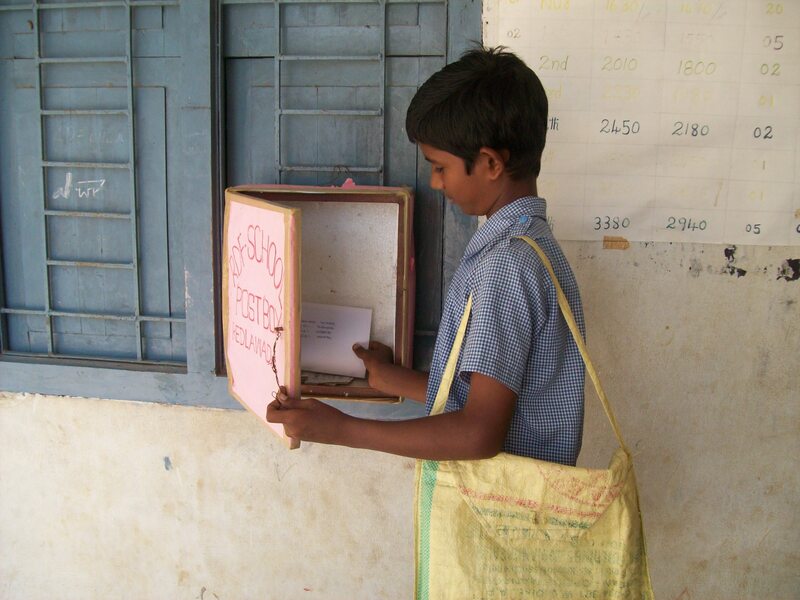 At Redlawada, students practice send letters so they can improve their communication skills, both in writing and learning how to respectfully address elders. Seventh class student S. Anil took the lessons a step further. 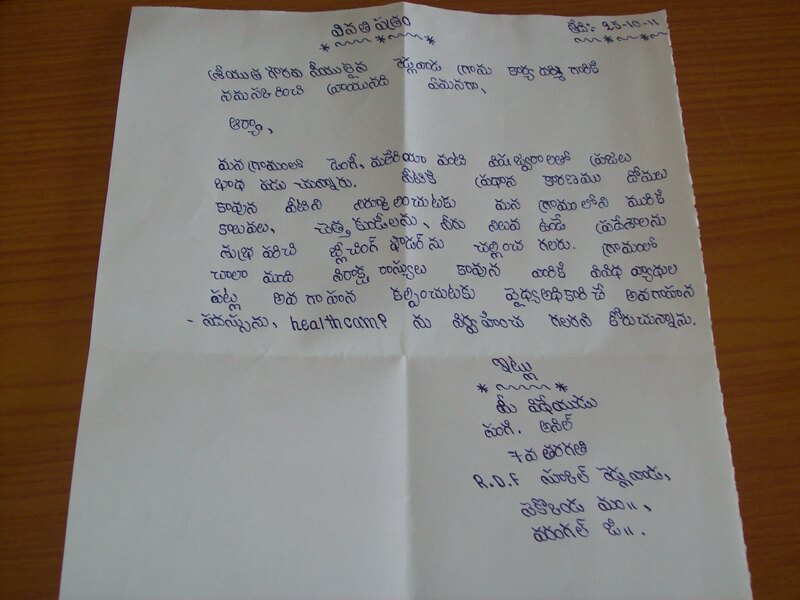 He wrote his letter to the village secretary, asking about the dengue and malaria that afflicts villagers, the resulting fevers and how to prevent the illnesses. He got a response, with advice to clean out the drainage, use bleaching powders and drink filtered water. S. Anil shared the information with residents, including Raula Kumar, a villager who had suffered from dengue. Life science students at the VAPV Junior College recently studied jersey cows when the black and white bovine traveled from Maharashtra to the local mango grove. Students discovered the cows were different than the local, Indian breeds. The jerseys were bigger than local cows, with larger udders that produced up to 15 times more milk. Students also considered the jerseys less aggressive than local cows. They submitted their findings to the college zoology department. Meet Rekah Nampalli, a rising star at Matendla school. Rekah is top of her 8th Class. In addition to studying, she has found time for numerous activities that show she is taking full advantage of her RDF education. Rekah has worked on the farm, the photo blog and the Youth Empowerment Program. Her drawings led her to district-level competitions. Now she’s reporting for Unicef’s Behavior Change Communication program. She attends karate class and plays kabaddi. She is also a great helper. She is the student assistant teacher to her math class, even teaching the class when the teacher is absent. And when the school’s assistant cooks are absent, she cuts vegetables to help with the meals. Rekah hopes to become a software engineer. We’re confident she’ll succeed.